MassHire membership has its rewards! 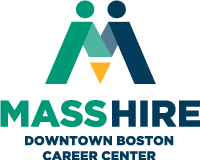 When you join MassHire, you can access workshops and events across the MassHire Career Center system and use our Resource Centers to conduct your job search. Take these three steps to become a member now. Complete the New User Registration Form on JobQuest and obtain your Jobseeker ID number. The eight digit number will appear on the top right corner at the compilation of registration. Write down your 8-digit Jobseeker ID number (you will need this to complete the membership process). Complete MassHire Downtown Boston Member Form using your eight digit Jobseeker ID number. Attend a WELCOME SESSION offered daily at 11:00 AM. For our complete list of upcoming events consult our Events Page.